JS Gedge are one of only 12 Gold Wing dealers in the UK. 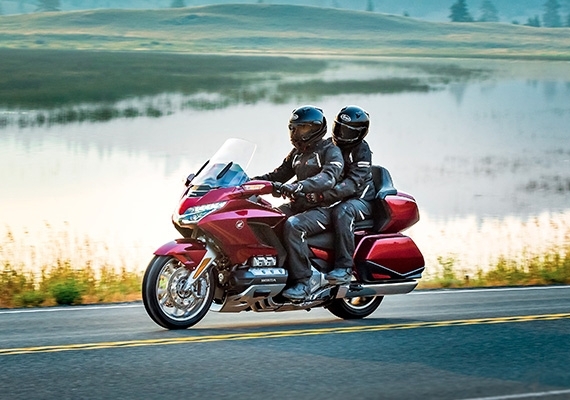 We are Honda Gold Wing specialist and an official Honda stockists. 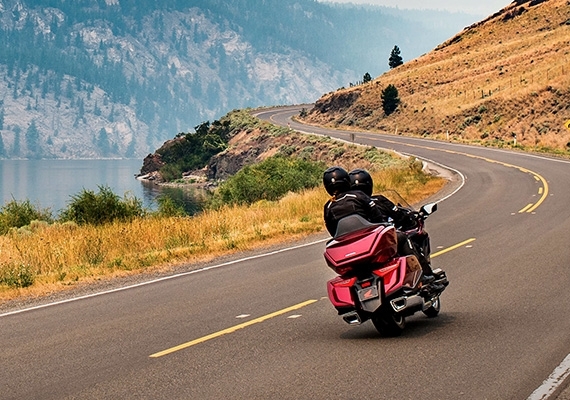 Lighter and more compact than ever before, the GL1800 Gold Wing makes touring easier than ever. The 1,833 cc six-cylinder engine is equipped with six-speed manual transmission and a new Throttle By Wire (TBW) system with four rider modes to choose from. When it comes to touring, convenience and comfort are vital. 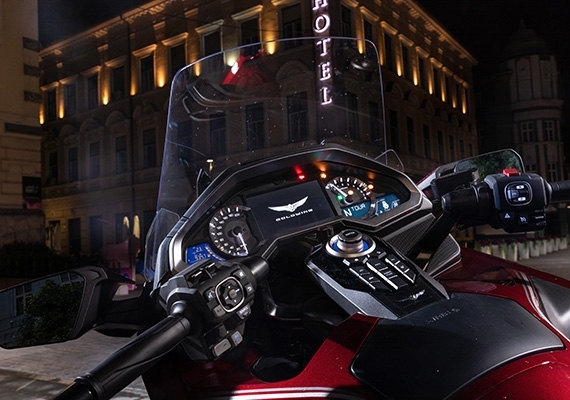 This has been considered at every stage of the Gold Wing’s design, from the double wishbone front suspension and single-sided Pro-Arm to the new Apple CarPlay® system with iPhone connectivity. Add in Hill Start Assist as standard and you have a ride that’s optimised to offer more comfort and control on the open road. Supreme luxury with Top Box, Panniers, Dual Clutch Transmission & Airbag. A completely reimagined and re-engineered chassis delivers agile handling. Honda’s peerless touring machine is designed to be compact and lightweight, with technology that will help make the most of any ride. 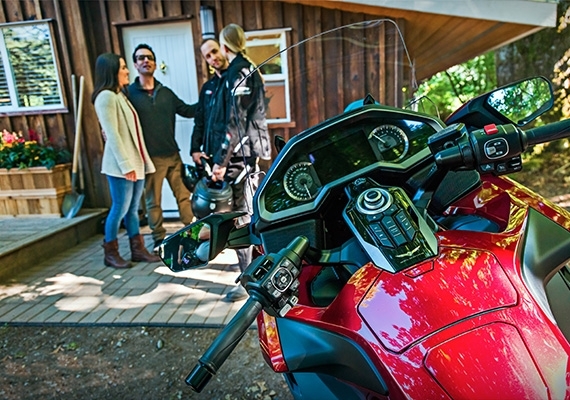 With a long list of standout features meant for optimum comfort and performance for both the rider and passenger, the Gold Wing is the starting point for your next great adventure. This is the bike that invented the concept of the modern touring motorcycle. And reinvented it. And just last year, reinvented it all over again. The latest generation of Gold Wings are leaner, more refined, more up to date than ever. From their super smooth six-cylinder engines to their available 7-speed DCT automatic transmissions. 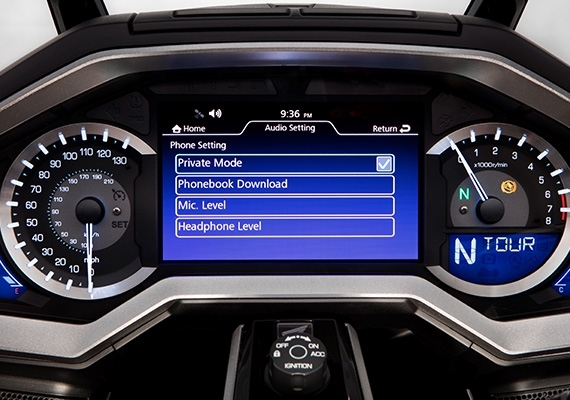 From their revolutionary front suspension systems to tech features like Apple CarPlay™. 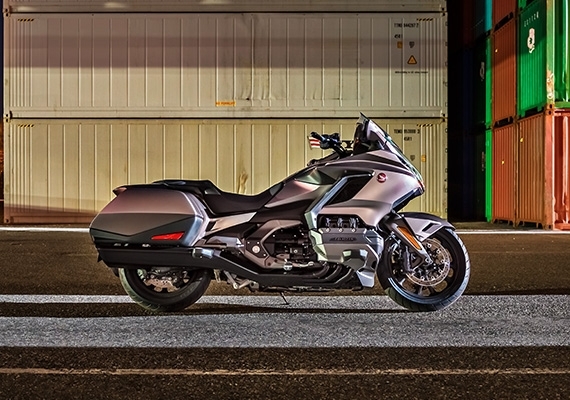 Lighter, leaner, and designed to push the limits of what a touring bike can be, the 2019 Honda Gold Wing Tour Automatic DCT will expand your adventures beyond imagination. Inspire yourself.